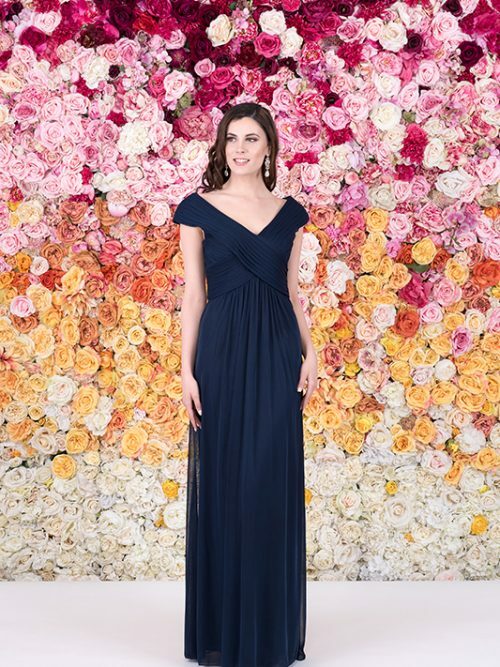 Alluring and modern the stunning Bianca bridesmaid dress is a fresh look for any bridal party. Designed with our Luxe jersey fabric the flattering cross over V-neck line and cinched waist is a perfect for a feminine feel. With a tasteful front side split you can move with ease and dance the night away. Light gathers from the waist band fall into a slim line skirt slightly teared through the front. An invisible zip back for a smooth finish compliments this effortless piece.